Welcome to Old Palm Golf Club in Florida's Palm Beach Gardens. Here at Old Palm as few as 330 members enjoy a generous helping of the good life. Old Palm offers elegance blended with a personalized staf providing an array of services. A fantastic life-style, coupled with exceptional golfing, in an environment that is magically embraced with the beauty of nature's landscape. This luxurious golf club community consist of four distinct neighborhoods offering custom estate homes from the elegantly simple to the simply elegant - each displaying their own special characteristics. 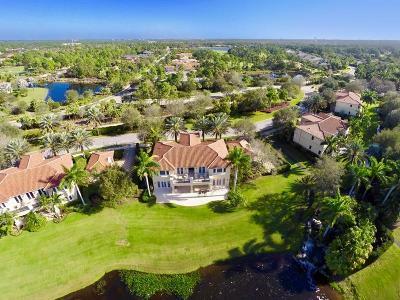 The exceptional amenities and views of the golf course, water features, or preserves, make Old Palm Golf club one place you will not want to miss. The Golf Estates - opens onto an expansive backyard with stunning views overlooking private water features, preserves or the golf course. Homes from 3,400 to 5,000 square feet of living area on approximately 1/4 acre, priced from $1,300,000 to $2,000,000. 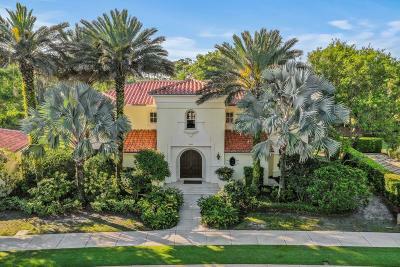 The Isle Estates - a brand new neighborhood of island-inspired estate homes with magnificent overtones of the British West Indies and a prominent Carribean flair. Approximately 1/3 acre lots with homes from 4,300 to 6,800 square feet, priced from $2,000,000 to $3,000,000. The Grand Estates - are designed for elegant living with attention to detail. Approximately 1/2 acre, overlooking a private island water feature or the golf course. These homes range from 4,800 to 7,000 square feet, priced from $2,000,000 to $3,000,000. The Custom Estates - are a relfection of the owners' personal design to include every luxury. Homes ranging from 7,000 to over 15,000 square feet and are priced from $4,000,000 to over $12,000,000. These are the finest in luxury estate homes.